• Thought provoking services for you. • Religious exploration for your kids. • Events of all types- religious, social action, science, environmental, music, kids groups and more! There’s always a lot at happening at UUGP! • Subscribe to Catalyst, our monthly newsletter. It includes details on all the services, events, religious education programs, happening here. Thanks to the generosity and hard work of our members we have a large modern sanctuary, patio, gardens, kids RE room, modern conference facilities with video conferencing, kitchen and more. Come visit us. Sunday service is at 10:30 am. We’re right in the heart of downtown Grants Pass at 129 NW E St.… just off 6th Street. Parking is plentiful. There’s handicapped parking in the rear (access via the alley mid-6th St.), parking on the street, and we are steps away from public parking lots. 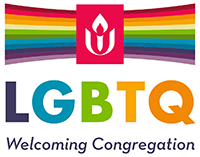 Email info@uugp.org or fill out our contact form and we’ll set up a tour during office hours.